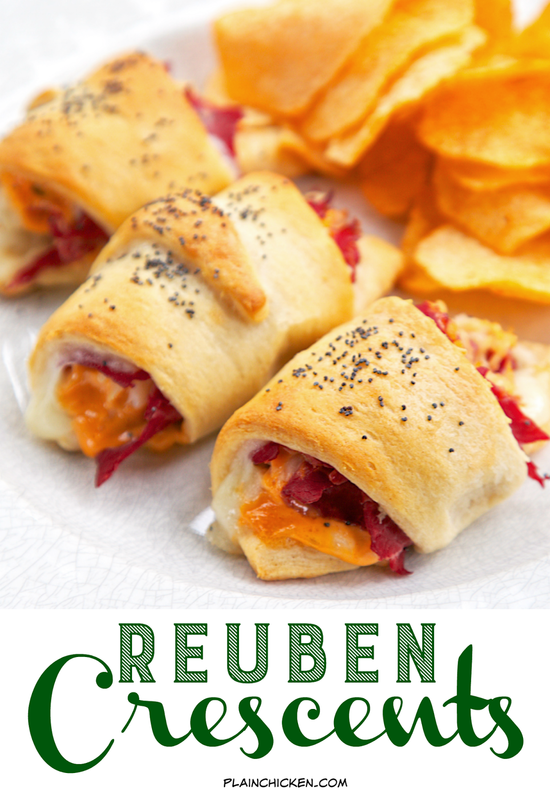 Reuben Crescents - Corned Beef, sauerkraut, swiss cheese, thousand island dressing wrapped in crescent rolls and baked. SO good! Ready in under 20 minutes! Great for a quick lunch or dinner. St. Patrick's Day is next week. 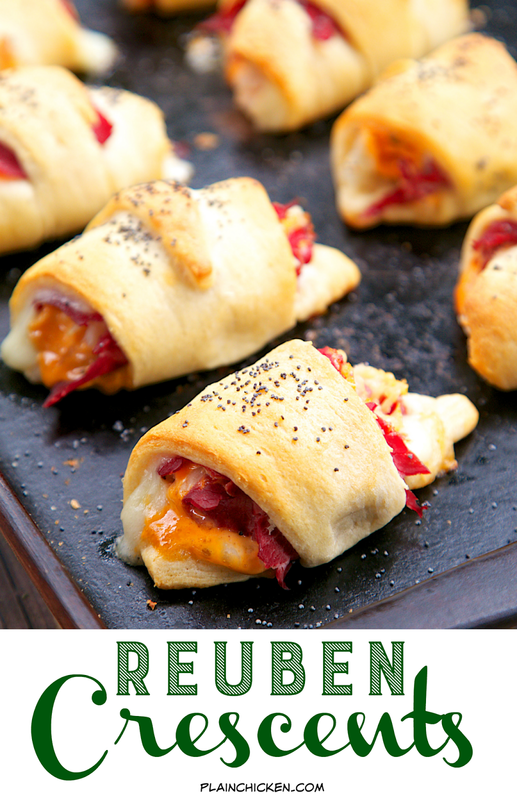 We will be celebrating with these yummy Reuben Crescents! Corned Beef, sauerkraut, swiss cheese, thousand island dressing wrapped in crescent rolls and baked. SO good! The key to keeping the crescents from getting soggy is to put half of a slice of corned beef on the crescent roll, top it with the sauerkraut and dressing, then put the other half of the meat on top of the wet ingredients. That will help keep the crescent rolls from being soggy. 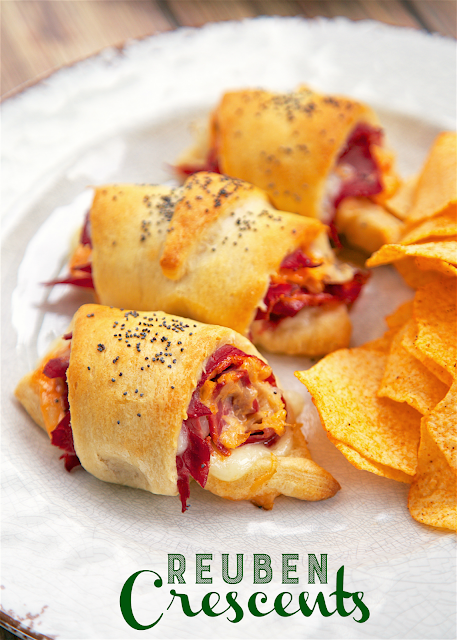 Chicken Legs loves a good Reuben, and he gave these Reuben Crescents two thumbs up! They are a great addition to your St. Patrick's Day celebration! Top crescent roll with a slice of swiss cheese. Place a slice or two of corned beef on top of cheese. Top beef with about a tablespoon of sauerkraut and 1-1/2 teaspoons of thousand island dressing. 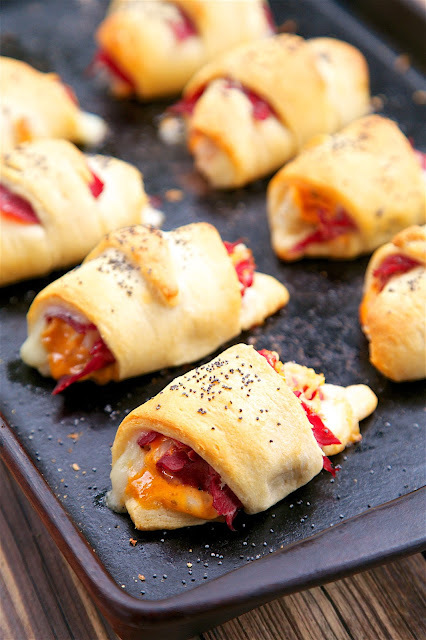 Roll up crescent rolls and place on large baking sheet. Sprinkle some poppy seeds on top of roll. Repeat with remaining crescent rolls. Bake for 16 to 19 minutes. The plain chiken is best ac compared to the other chieckn recipes. It's very tasty and easy to prepare.